You work at the CAA, whose work is to control the alien activity on the Earth. 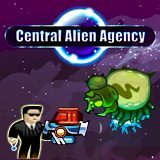 Some aliens have came out of control, and you received a mission to destroy them. Good luck!